Hi friends! 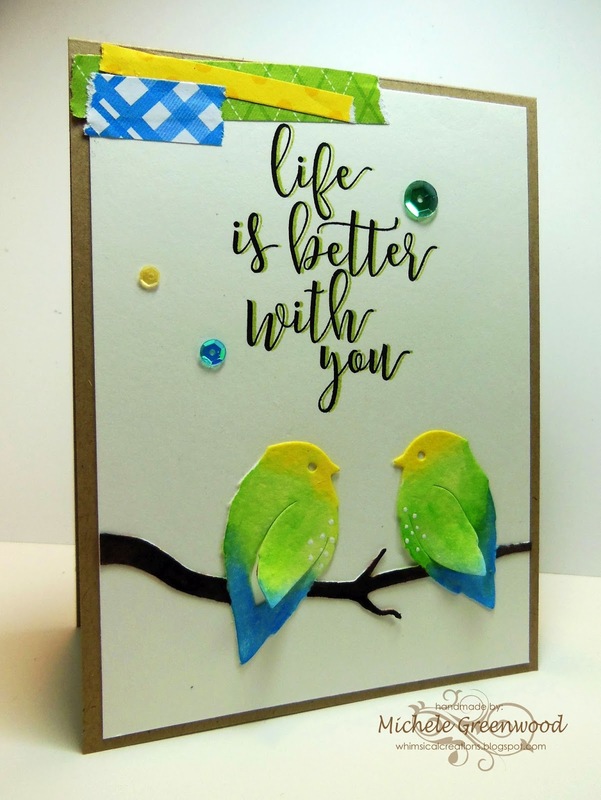 Welcome back to another collaboration post with our sponsor this month, Ellen Hutson! I used this adorable set designed by Julie Ebersole, Stay Salty – so cute with great images and adorable sentiments! 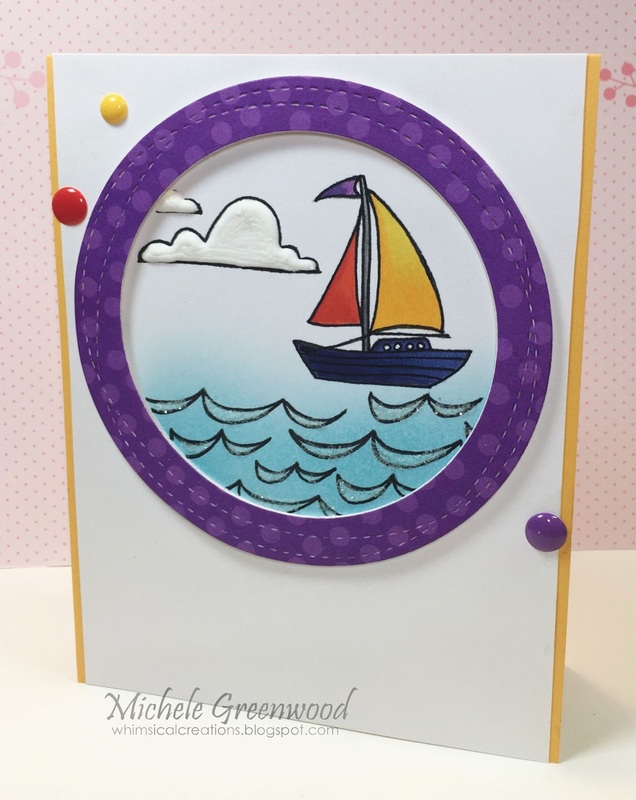 I went completely CAS with a cute little boat, some sparkly waves and puffy clouds – easy peasy! I stamped the image in Hero Arts intense black and colored with copics. I cut the frame with MFT’s wonky circle dies, adhered to a yellow card base and finished with a few enamel dots. Thanks for stopping by; hope you’ll join our TEXTURE challenge this month; we enjoy seeing your creations! I’m here today using a brand new (to me) stamp set from Hero Arts. I was lucky enough to receive the Colour Layering Flamingo Bundle, and I got to work playing with it immediately! First of all I stamped the bird, then die-cut him/her out. I took a white notecard and swiped my ink from the cubes in the pack (I used Ultra Pink), along the edge of the card stock to create custom colour that would match my flamingo perfectly. I added a panel of black cardstock, and topped it off with a tilted panel of bright blue, then adhered my die-cut flamingo down. 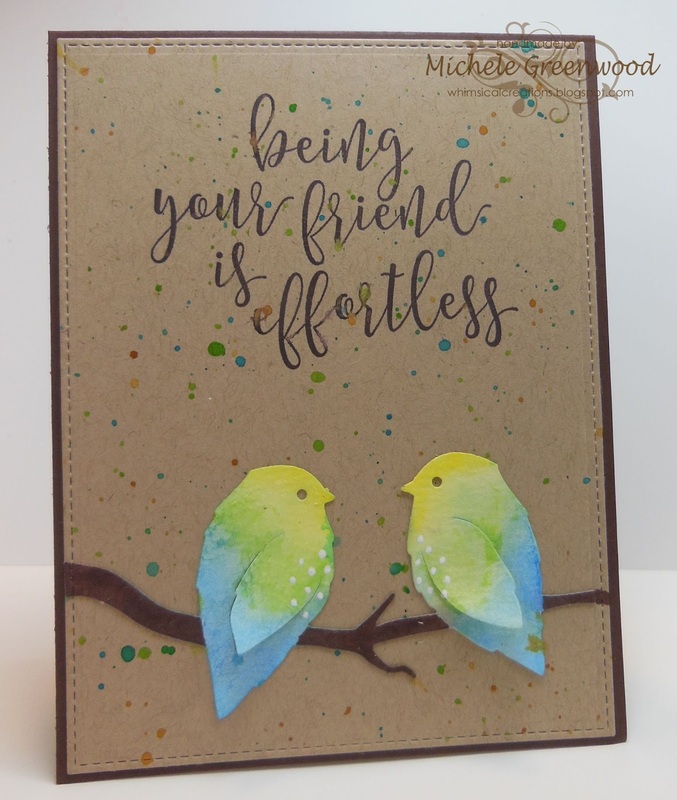 I heat embossed the sentiment (always tricky on textured cardstock!) and used my favourite white Hero Arts embossing powder. Even though this incorporates pink, I still firmly feel this falls into our current challenge theme of Masculine. A big huge thanks to our delightful friends at Hero Arts, who offered us stamps and ink to play with. THANK YOU! Be sure to enter our challenge, you’ve still got plenty of time to whip something up for a chance to win a prize from Hero Arts! 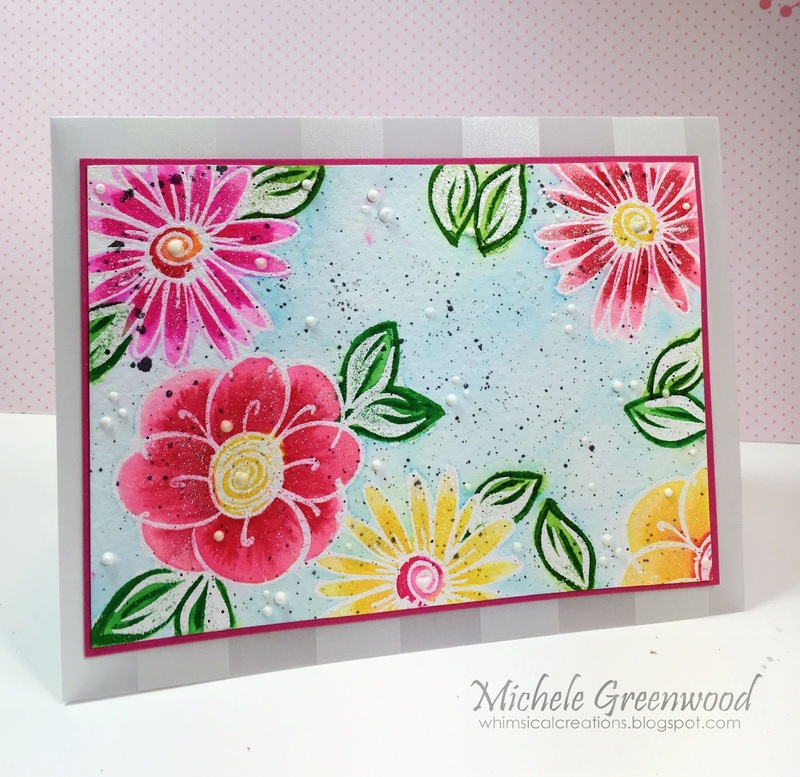 Hi friends – welcome back to another mini Hero Arts card featuring this adorable Daisy Style flower; I just love it! And yes, in case you were wondering? My first card is what we call a #vellumfail. OOPS! So what’s a crafty girl to do? 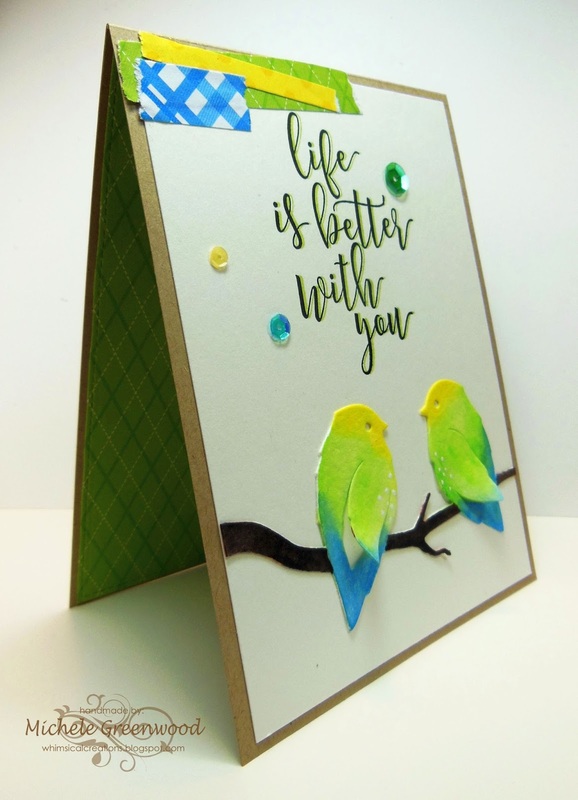 Make another card and use vellum as the base. 😀 Ah…better!! 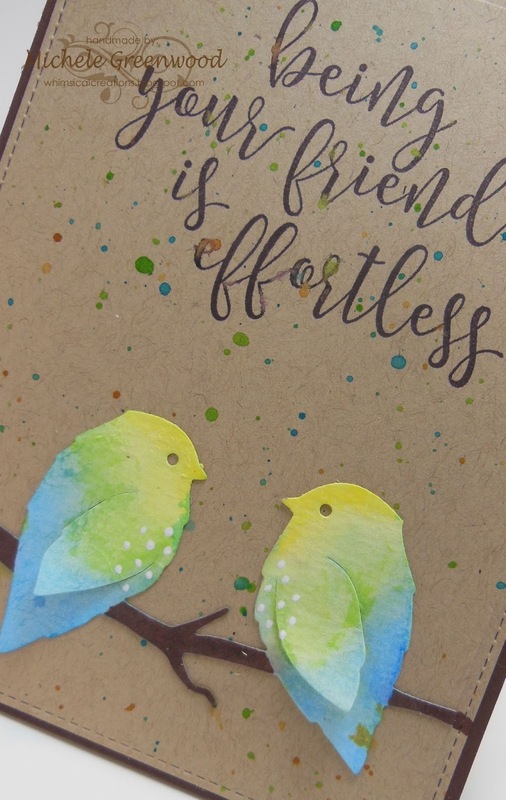 On the first card, I embossed the image 3 times on watercolor paper with Hero Arts white embossing powder and colored the images with Zig Clean Clear Brushes – allowing the colors to dry in between really does allow you to layer the colors and get some gorgeous BRIGHT color combos. I added a turquoise blue outline fading it out softly. Once everything was dry, I used my fingernail and the brush of the Zig markers to make super tiny flecks over the main panel. 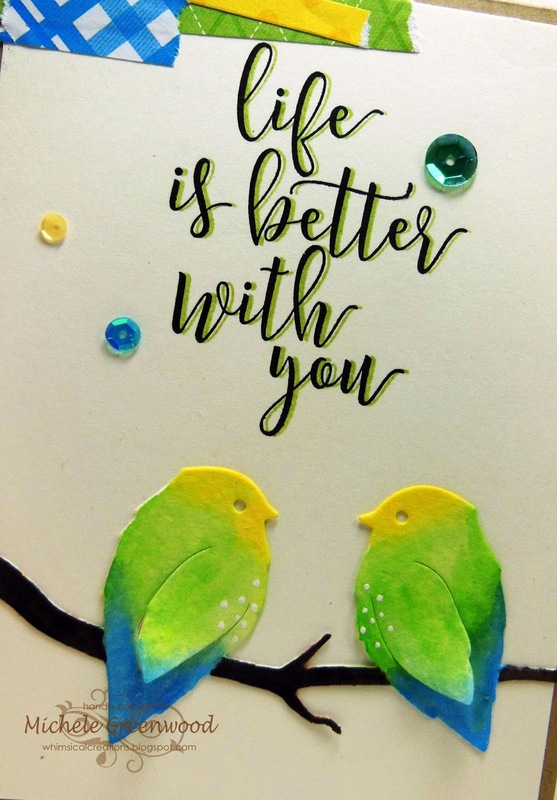 I added some clear wink of stella, washi tape and a sentiment from Hero Arts . A few sequins finish it off. The second card is made basically the exact same way – I just added some black and white splatters as well as some white enamel accents, layered it on to a fun stripped vellum for the base. 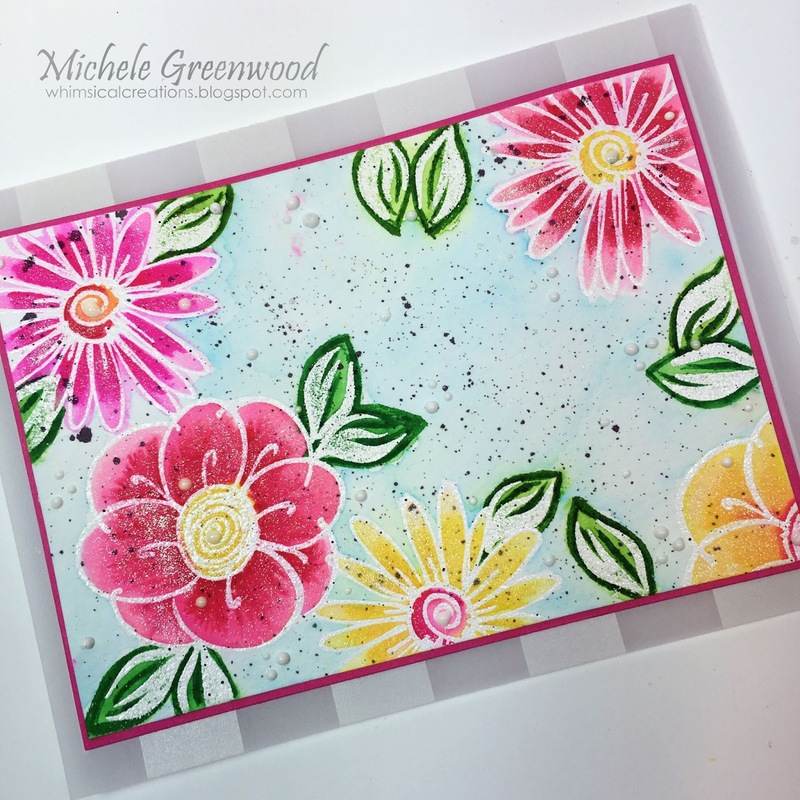 I added another Hero Arts flower, Zinnia Bloom as well as leaves from the Color Layering For you Flower stamp set. 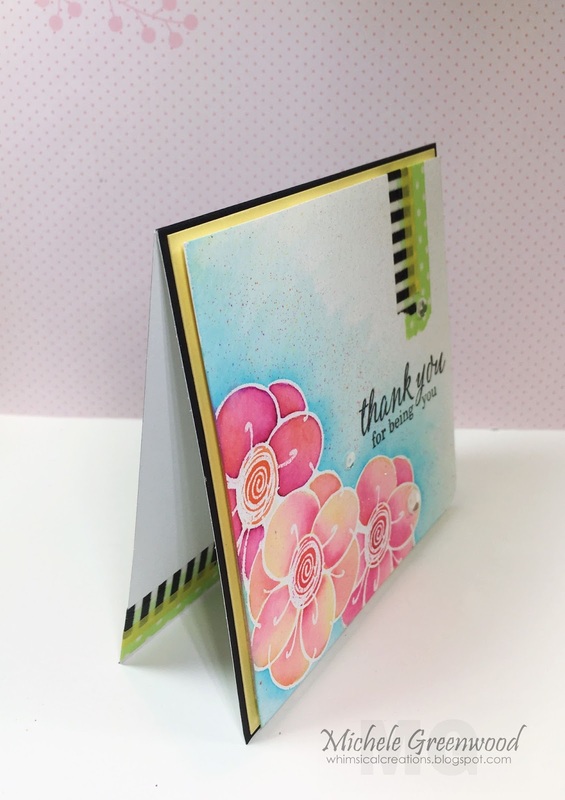 Thanks for stopping by; hope you’ll join the fun in showing us YOUR creations using vellum! See you again soon! Hello! The Crafty Nurse here with a little Hero Arts inspiration for the Vellum challenge at A Blog Named Hero. Vellum can be a bit challenging to use in your card making, but I love the way that it can mute down a bright design for a more subtle mood. The other question is how do you adhere the vellum without seeing the adhesive? The way I chose was to use brads. I’m sure you all have some of those in your stash, I know I sure do! 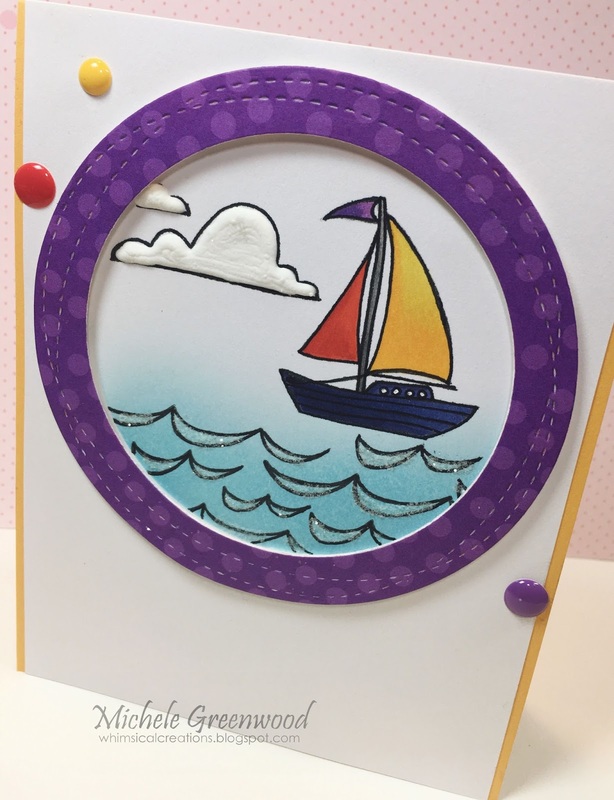 I began by creating a cluster of circles using multiple Hero Arts Shadow Inks. 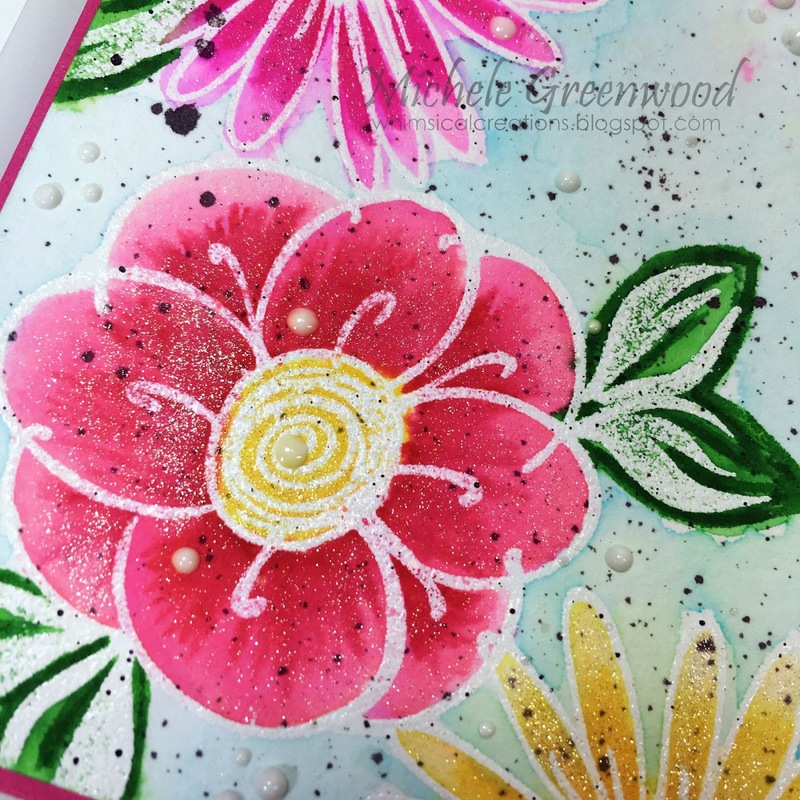 I heat embossed the Lil’ Inker’s Modern Mehndi stamp for the sentiment and finished off with Hero Arts pearls. 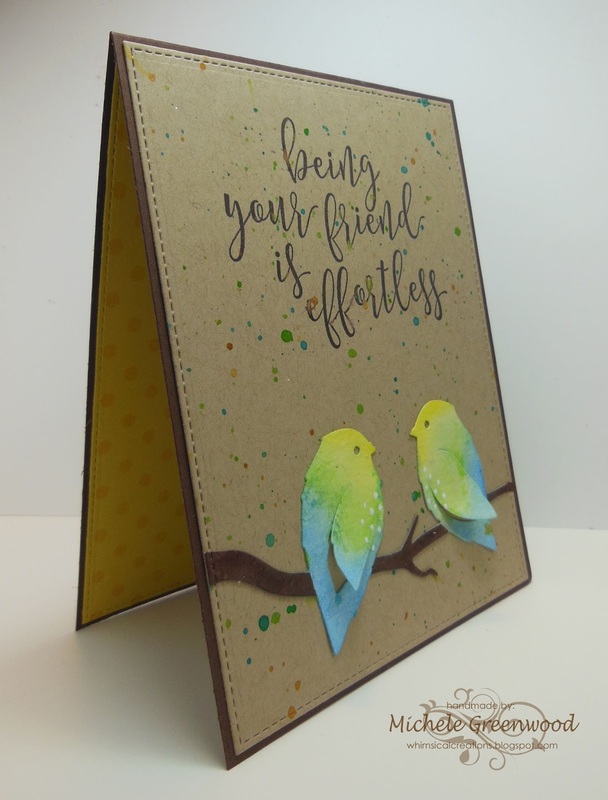 I hope you’ll join us at A Blog Named Hero for our June Vellum Card Challenge! This month we are collaborating with Lil’ Inker so I’ll be back later this month with more inspiration using their great stamps!